Guests at Lockeford Springs always find a warm, friendly atmosphere that makes any golf and/or social outing more enjoyable. Our par 72, 18-hole course has been designed to provide both an enjoyable round of golf for the novice player and a unique challenge for the highly skilled golfer. We take a great deal of pride in our hospitality and, being located in the heart of the Lodi wine country, we are accustomed to making guest from all over the country feel right at home. 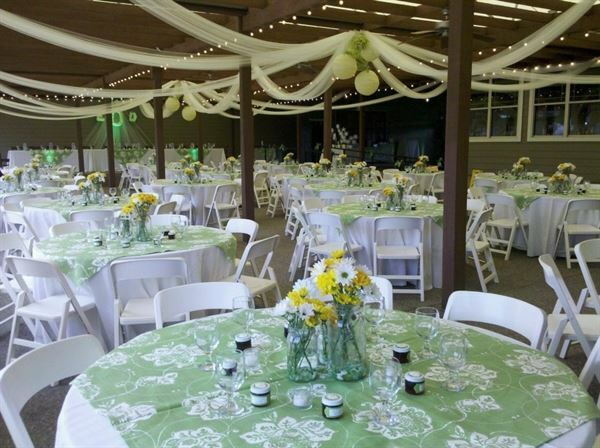 We pride ourselves in offering a top-notch venue with excellent service at the most competitive rates in the area. While you exchange vows with your loved one, enjoy the beautiful view and soothing sounds of our shimmering pond. After the ceremony, let the sunset create the ideal backdrop with our neighboring vineyard for perfect wedding party photos. Finish your day feasting with friends and family on our beautiful patio with lavish facilities, full bar and dance floor.